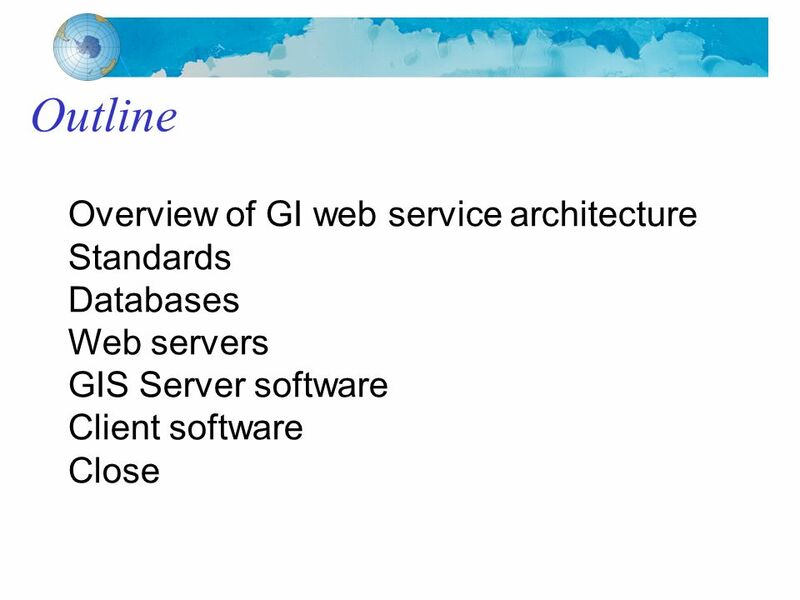 A Roadmap of Open Source components for GI Web Services and Clients A Paul R Cooper MAGIC. 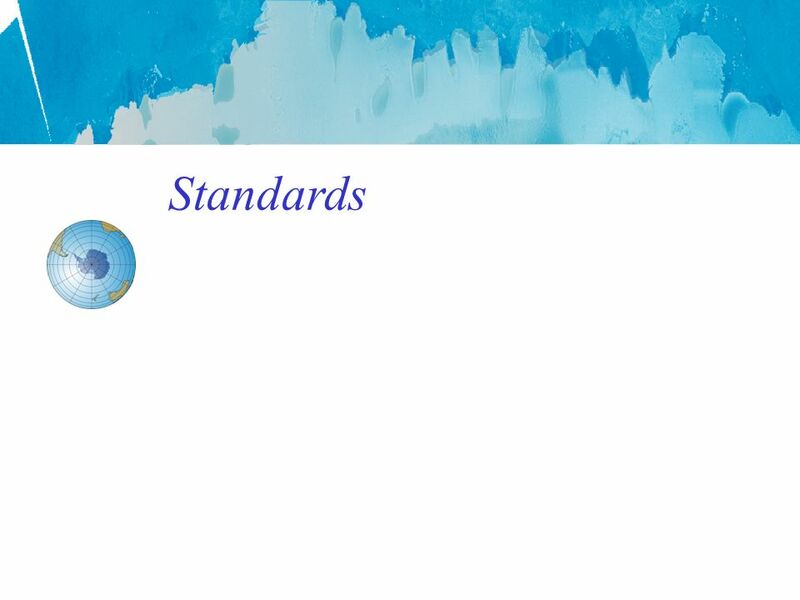 9 ISO Standards Plenty to choose from! 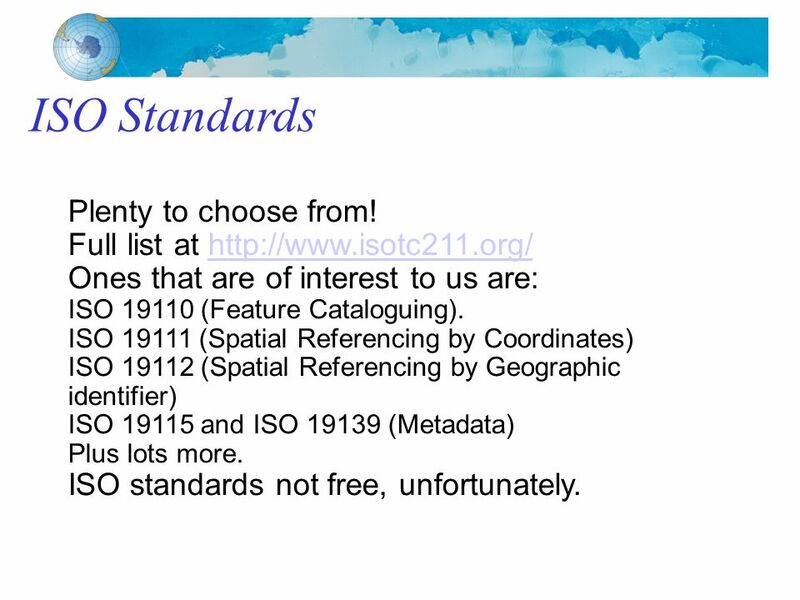 Full list at http://www.isotc211.org/http://www.isotc211.org/ Ones that are of interest to us are: ISO 19110 (Feature Cataloguing). ISO 19111 (Spatial Referencing by Coordinates) ISO 19112 (Spatial Referencing by Geographic identifier) ISO 19115 and ISO 19139 (Metadata) Plus lots more. 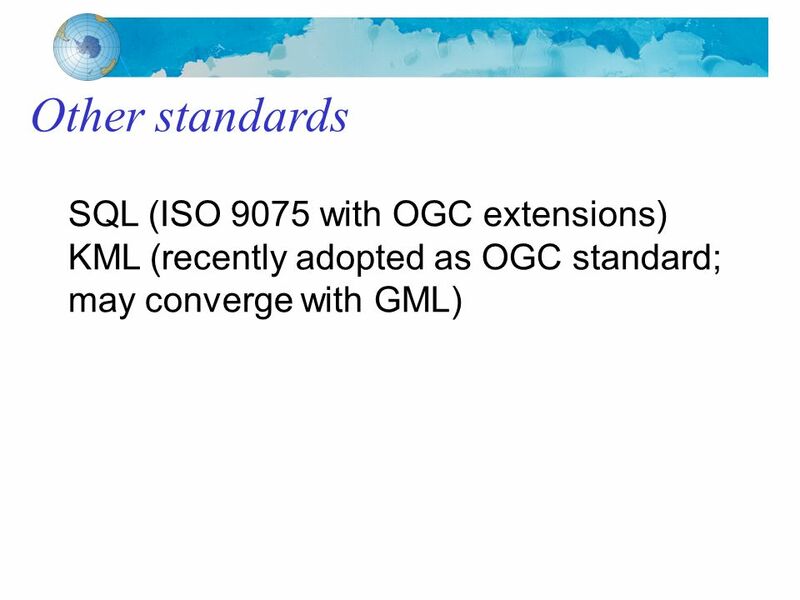 ISO standards not free, unfortunately. 17 F/OSS Web servers MapServer Geoserver Deegree Probably lots of others! 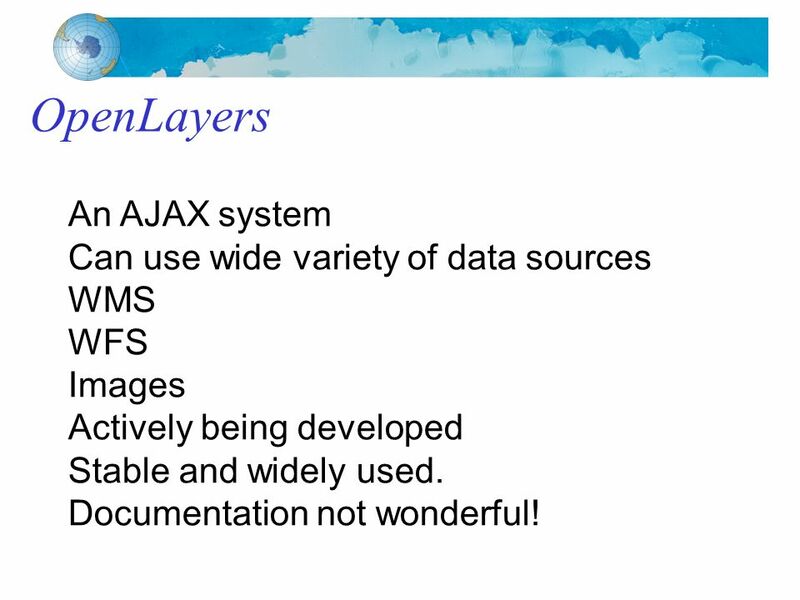 22 OpenLayers An AJAX system Can use wide variety of data sources WMS WFS Images Actively being developed Stable and widely used. 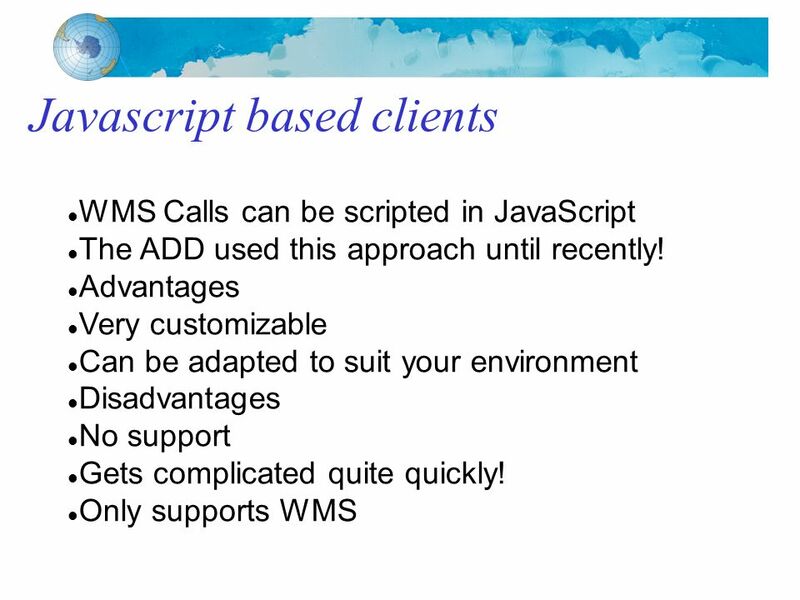 Documentation not wonderful! 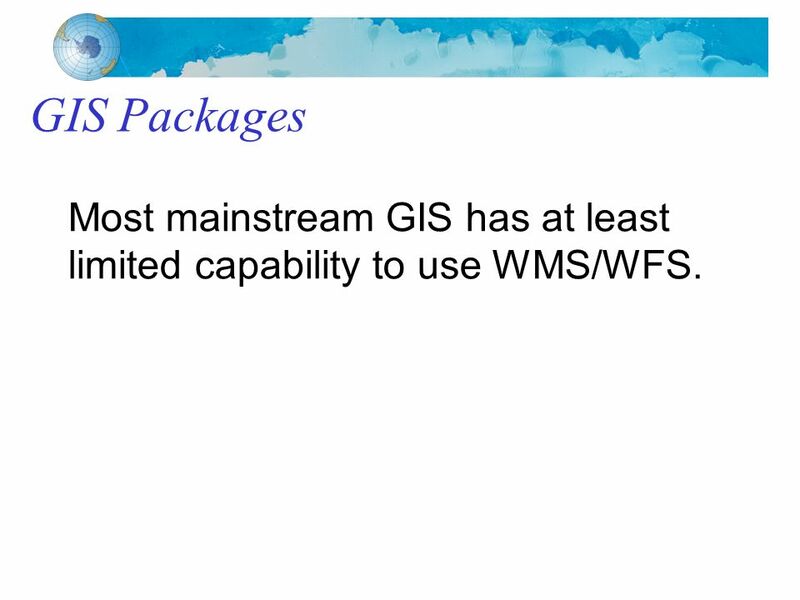 24 GIS Packages Most mainstream GIS has at least limited capability to use WMS/WFS. 26 F/OSS software provides good support for GI Web services F/OSS software provides good compliance with relevant standards F/OSS provides stable solutions F/OSS is easy to use! 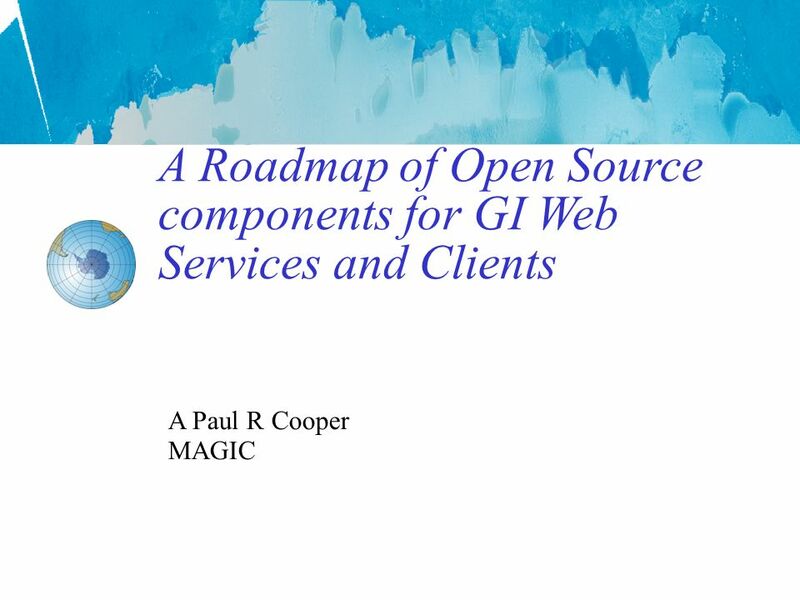 Download ppt "A Roadmap of Open Source components for GI Web Services and Clients A Paul R Cooper MAGIC." 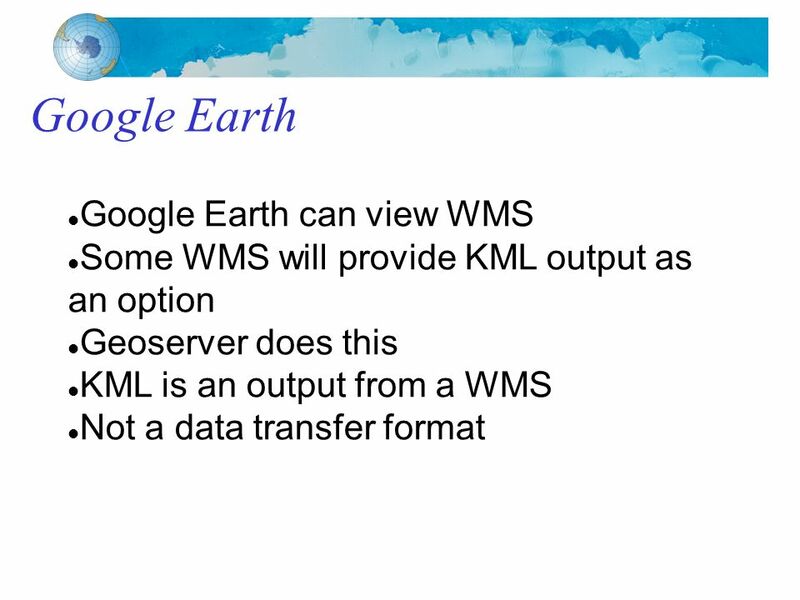 Geography 911: NeoGeography GIS 2.0 and Software Toolkits Joshua S. Campbell – 23 February 2010. EURO4M Project Kick-Off, April 2010 OGC Web Services Data visualization using OGC web services Maarten Plieger Wim Som de Cerff Royal Netherlands Meteorological. 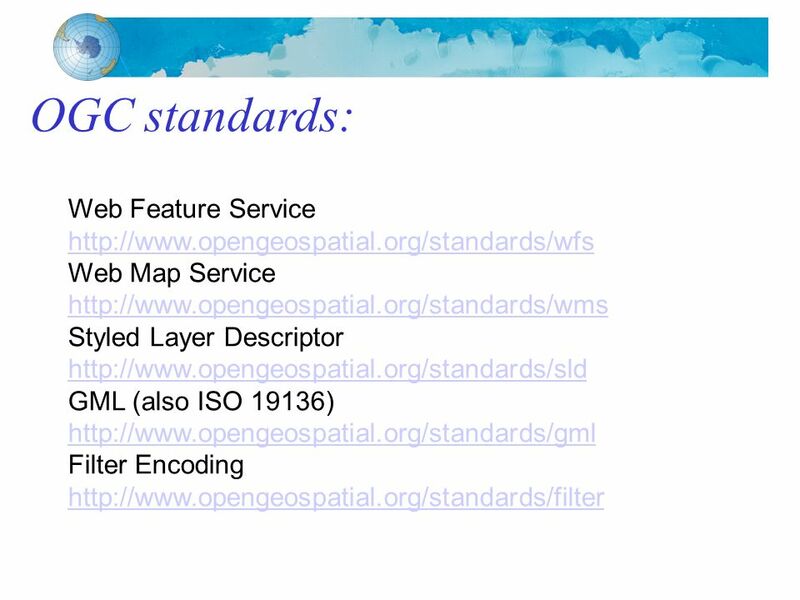 GIS in the Internet - architectures, standards and OpenSource Team SPADE – Spatial Decision Support. 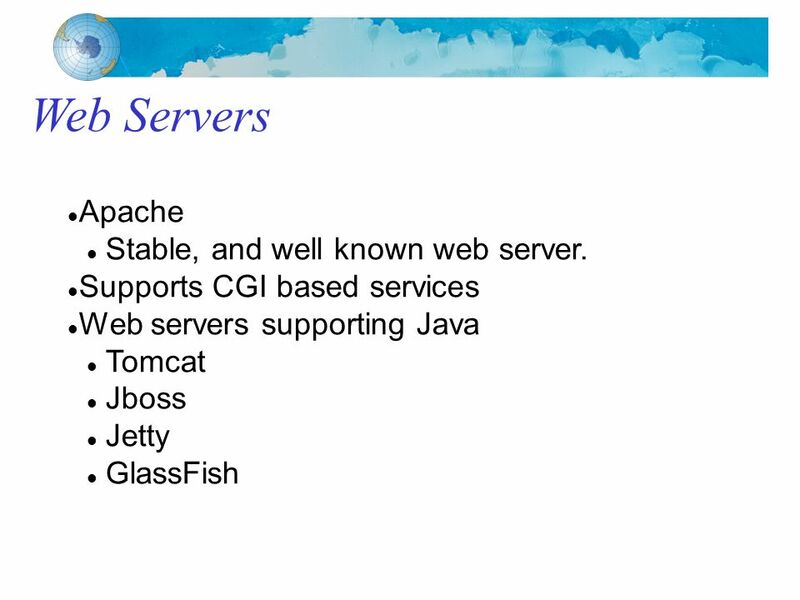 Perspectives from the Client Side Integrating Backbone OS Technology with PostgreSQL PostGIS, UMN MapServer and Mapbender A short listing of the mentioned. 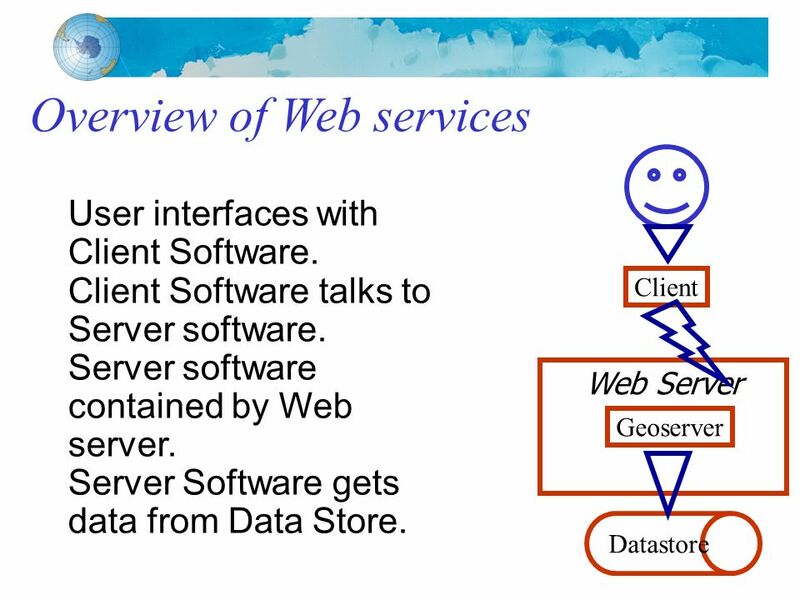 Geographic Interoperability Office ISO and OGC Geographic Information Service Architecture George Percivall NASA Geographic. 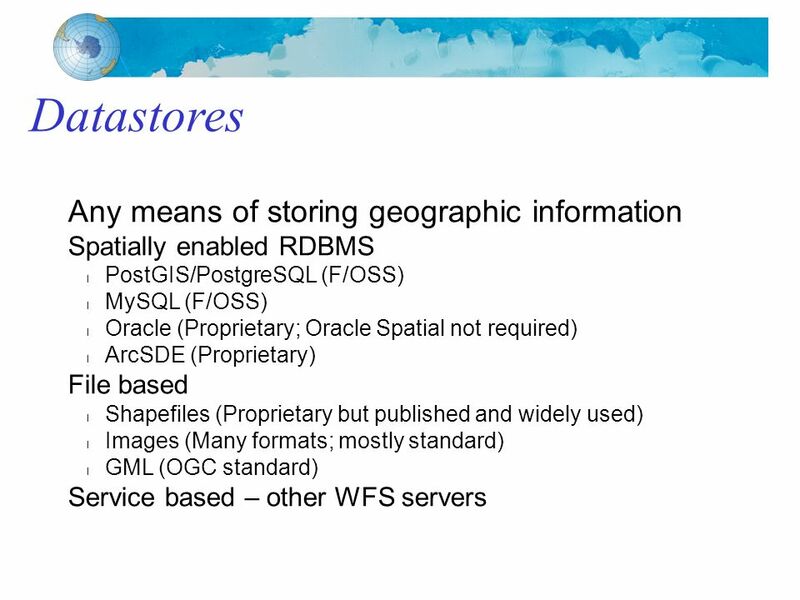 Spatial Data Infrastructure Concepts and Components Douglas Nebert U.S. Federal Geographic Data Committee Secretariat August 2009. 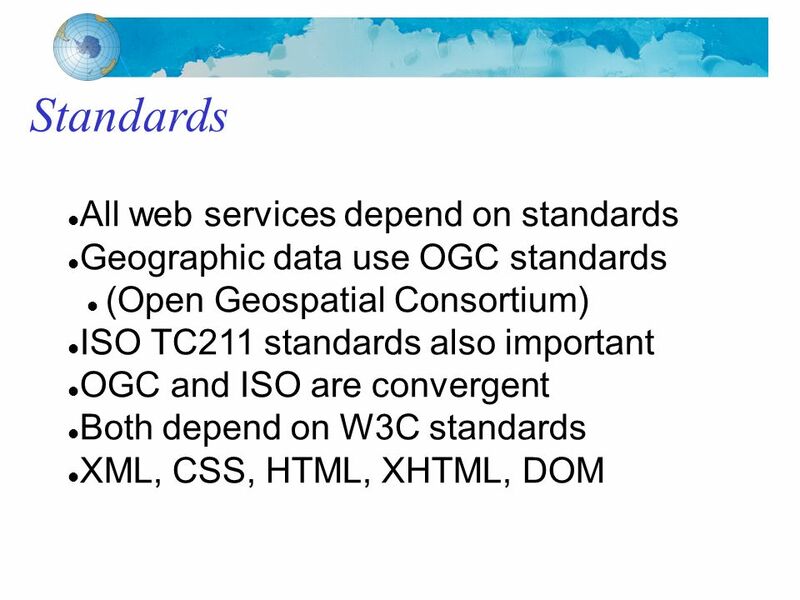 Ubiquitous GIS - Part IV Standards for UBGIS: ISO/TC211 WG 10 UPA (Ubiquitous Public Access) Fall 2007 Ki-Joune Li Pusan. Kapil Oberai Scientist Indian Institute of Remote Sensing India Geospatial Forum 2012. 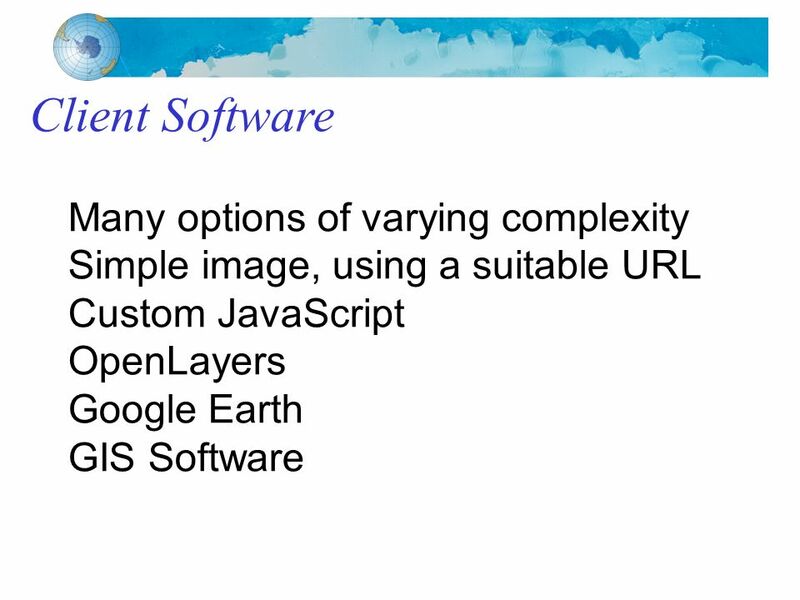 ESRI Geoportal Extension 10 November 2010 Out-of-the-box capabilities and additional options. Europe’s Information Society eContentplus OrléansWP6 1st Coordination and progress meeting Technical information OGC WMS – WFS – CSW. CBS Expert Team on Integrated Data Management – WMO December 2003 ACSYS – CliC – IACPO. 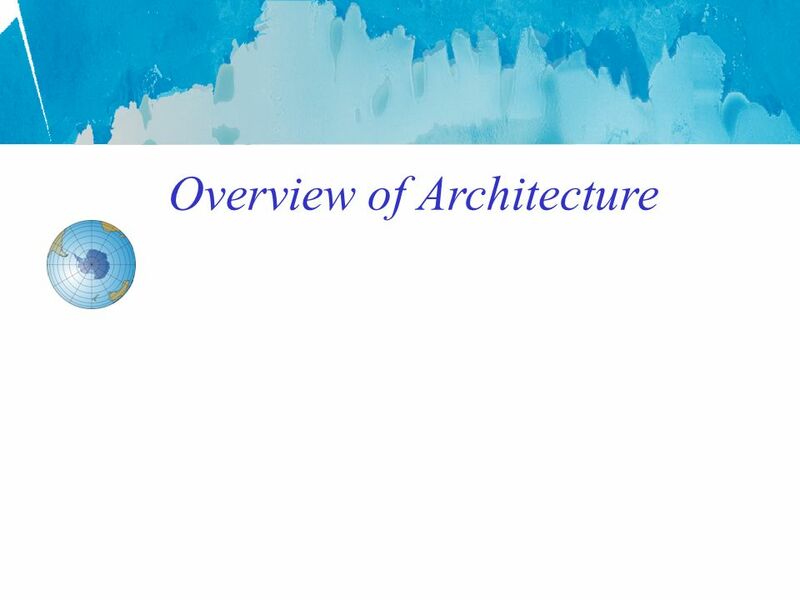 IS 360 Course Introduction. 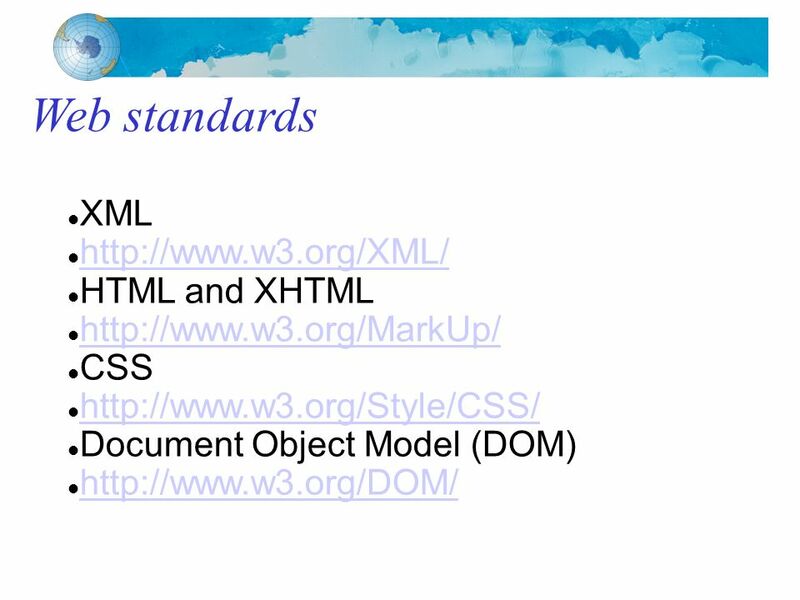 Slide 2 What you will Learn (1) The role of Web servers and clients How to create HTML, XHTML, and HTML 5 pages suitable for. Planned Title: Review of Evaluation of Geospatial Search Allan Doyle. 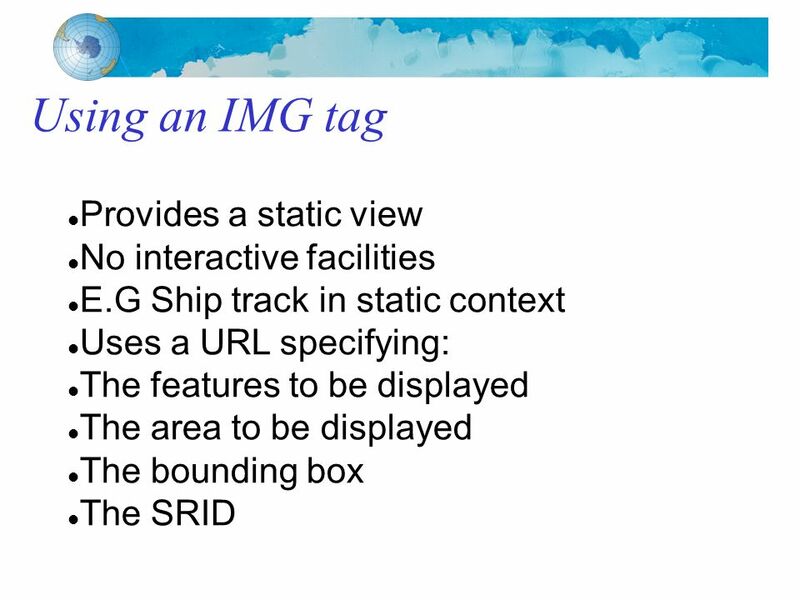 ISIG/WEB A Web-based Tool for Viewing and Editing Maps Month/2004 Gustavo Mandolesi – Software Engineer. IT1401 - WEB TECHNOLOGY Prepared by, K.ABINAYA Lect/IT.